Yesterday was my final sermon as the located preacher at the Hickman Mills Church in Kansas City. We leave the brethren with mixed emotions, fond memories, and special bond forged in faith and fellowship. Among the exhortations I shared with the brethren was the admonition to “become complete,” our word for the week. Complete seems like a simple word and maybe a rather uninteresting word. But it is rich in meaning. Deep in thought. And profound in application. Other versions render the word “Perfection.” “Restoration.” Or “mend your ways” in the RSV. Kataritizo was used in surgery for the setting of a broken limb or for putting a dislocated joint back in place. In politics it referred to bringing opposing factions together. And in the military it was used of outfitting a solider with the equipment necessary to go into battle. (1) Fisherman “mending their the nets” (Mk. 1:19). (2) Disciples who are “perfectly trained” to be like Jesus. (Lk. 6:40). (3) Spiritually minded Christians seeking to “restore” a fallen brother (Gal. 6:1). (4) Brethren being “perfectly joined together” in unity (1 Cor 1:10). 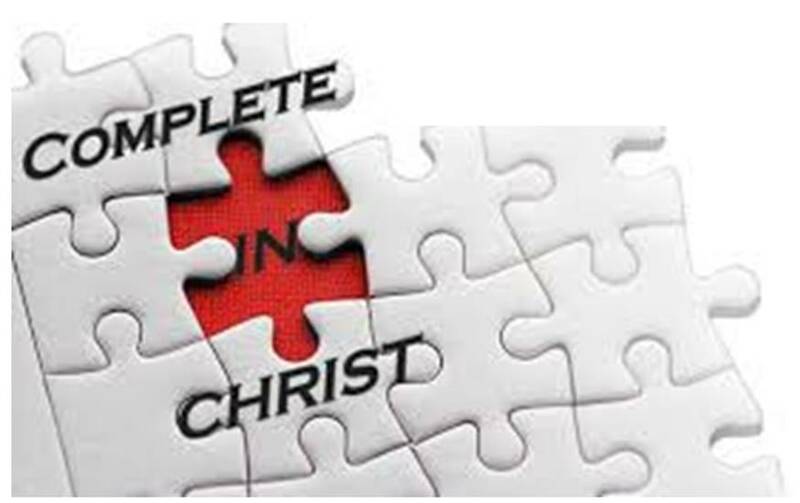 Becoming “complete” is the personalized goal of discipleship. It is not a single event where you can say, “I am finished.” It is a journey. A process. A life-time progression of spiritual development. Shepherds and churches can provide many activities to assist Christians in becoming complete. (1) Teachers’ Workshops that train teachers to share God’s Word. (2) Men’s classes that equip men to lead in public worship. (3) Ladies classes than instruct women in their special role as wives, mothers and workers in the church. (4) Song worship training that improves our singing and elevates the level of praise in our assemblies. (5) Teen gatherings and devotionals that ground them in the truth, provide opportunities for fellowship and inspire teens to Christian service. (6) Preacher training programs that guide, model and mentor young men to preach the gospel. (7) Marriage seminars that teach couples how to love one another as Christ loved the church and grow in their intimacy. (9) Leadership training to equip men to Shepherd the Church of God. (10) Sermons by preachers to educate, motivate, and inspire us to be transformed from the world to become like Christ. Complete is a great word. A challenging exhortation. A worthy endeavor. A noble goal. And a spiritually fulfilling enterprise. Best to you and Norma in your new field of labor.